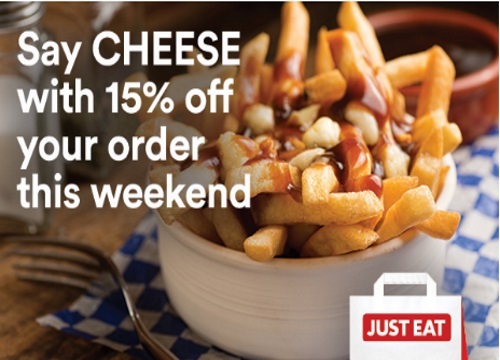 JustEat is offering 15% off this weekend for National Cheese Day! Use the promo code below to get 15% off your meal all weekend long. Enter the promo code CHEESE15 at checkout. Click here to see how to enter discount promo codes on JustEat. Offer valid on credit cards only from June 4-5, 2016.